My goodness, have you ever seen such unabashed brotherhood? 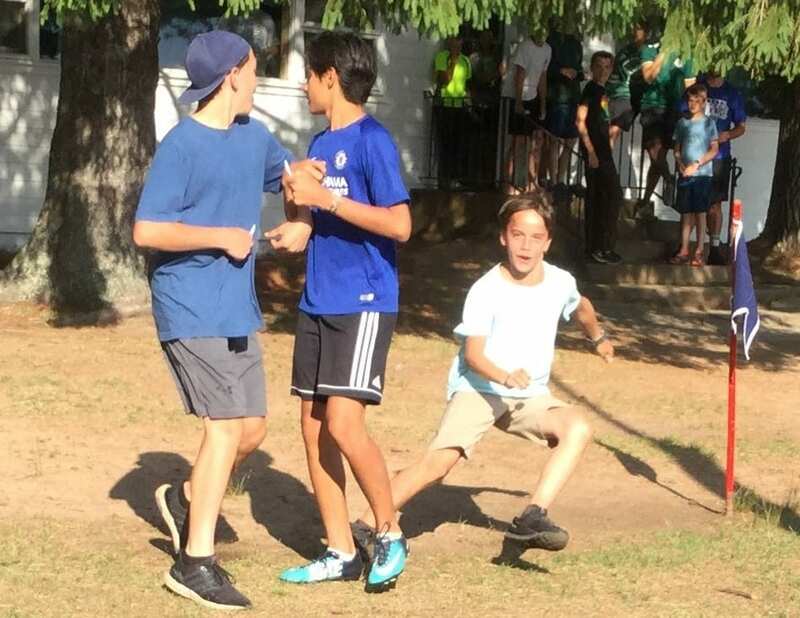 Everywhere you look around camp these days, boys seem to be racing to an activity or displaying heartwarming linked-arm camaraderie. 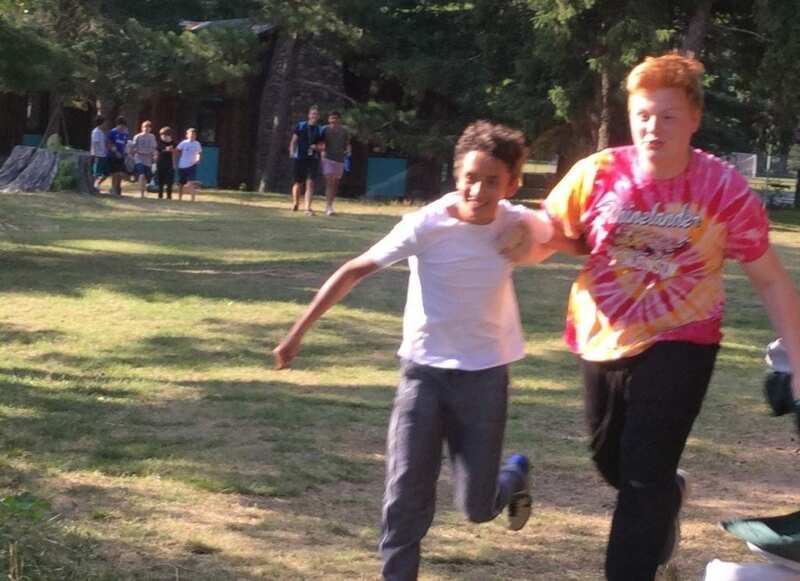 If you didn’t know any better, you’d think Towering Pines was the fittest, friendliest camp in the universe. Golly, these fellas are serious about fitness! Treachery, lurking, merciless ambushes, devious planning… all in abundance this week at Towering Pines! “If only they put this much mental effort into their homework! !” *camper parents, probably. 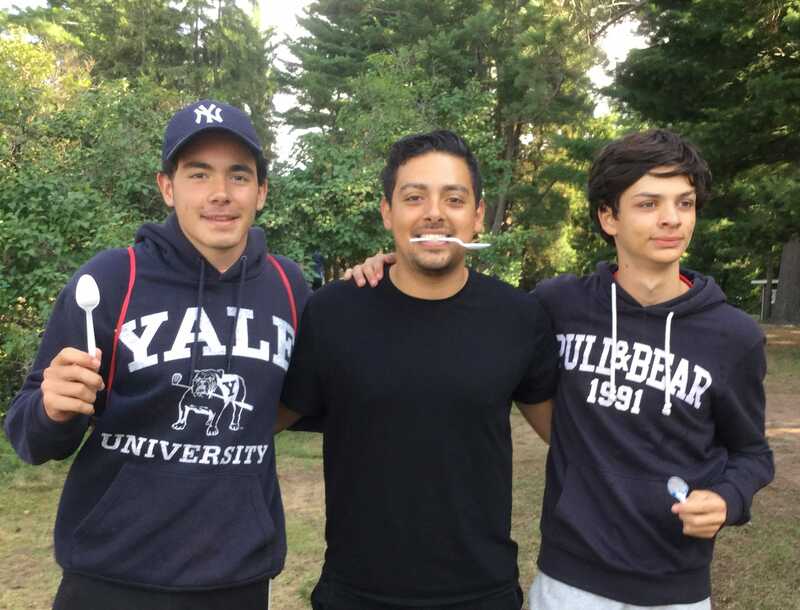 Oh, there’s plenty of comradeship and robust fun at camp as usual, but this week’s crazy dynamics this week are actually compliments of a crazily popular semi-new (since 2013) Towering Pines tradition called Spoon Assassins. Don’t worry Moms & Dads, it’s actually just a big game of Tag. “Assassin” sounds a lot cooler though. With a title this cool, there has to be a plaque. Each (voluntary) participant is given a plastic spoon and the name of another person, a.k.a. the “victim”. 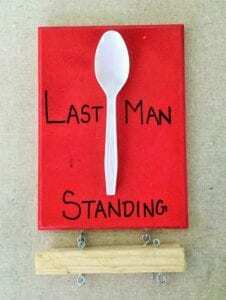 You try to tag your victim with the spoon, while watching out for the player who drew YOUR name. Once you tag your victim, you take the name of HIS victim, then you begin stalking a new person. 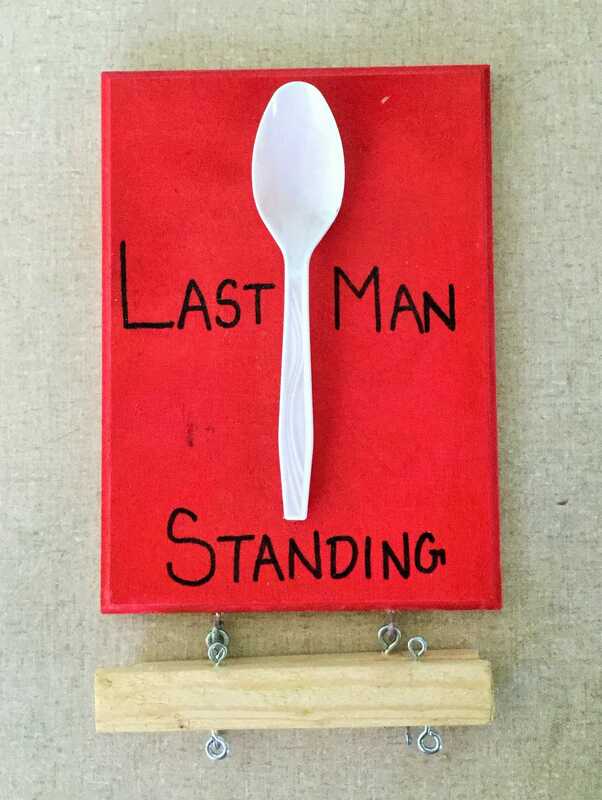 The last competitor tagged is named, “Last Man Standing”. 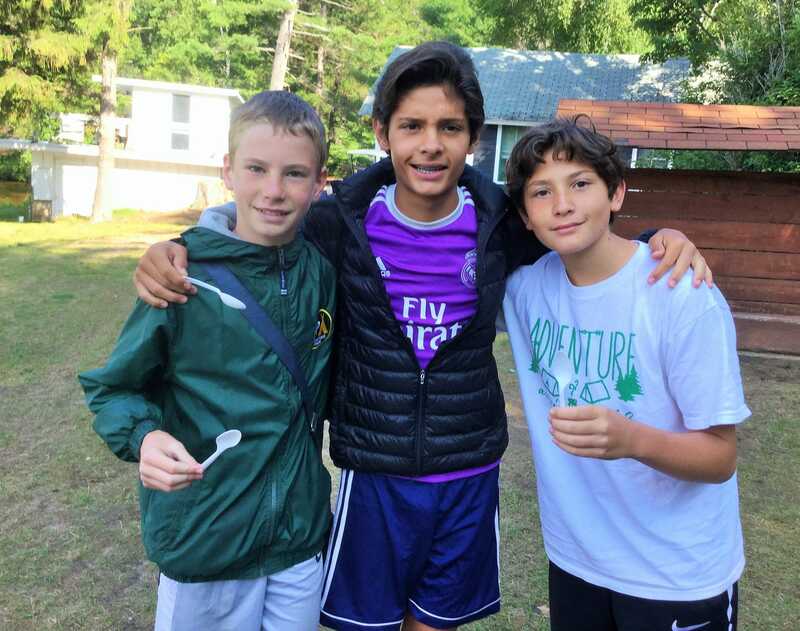 To keep the game safe and avoid interfering with activities, there are several “Safe” times and places, e.g., activity areas, in the cabins, etc. 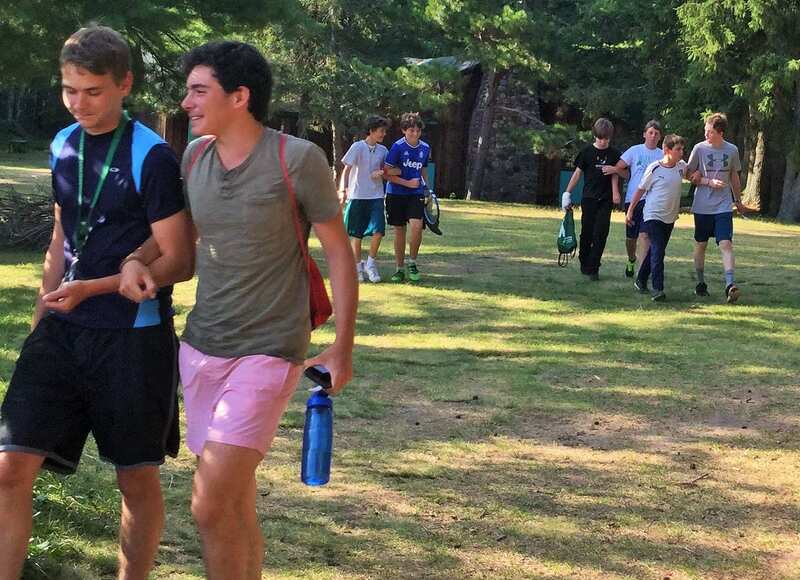 Linking arms with other campers is another “safe” situation, i.e., you can only be tagged if you’re alone. So yes Mom and Dad, all the apparent affection is actually a cunning display of mistrust and suspicion – indubitably the exact things you’d hoped your boys would learn at summer camp!! Linked arms and porches are “safe” places. * Bragging rights valid for one year only.